This isn’t an old antique coffee mill that has somehow been refurbished and is now for sale once again. 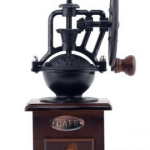 No, this hand-crank manual coffee mill is much more than just a rustic-looking showpiece, although you have to admit looks quite aesthetically appealing and may harken back to days of yore. Hario, the Japanese glass company who specializes in fancy coffee gear, brings us their canister-style ceramic coffee mill. 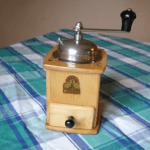 Although it looks like a golden oldie, this is actually a new and quite a very dynamic little manual burr coffee mill. 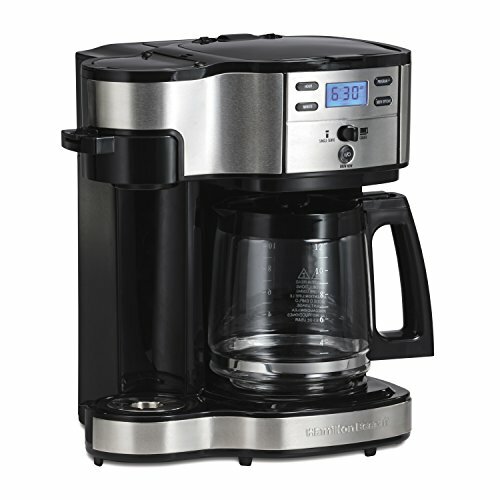 This small piece of technology that will help you grind your fresh whole bean coffee into a fresh grind, ready when you are for brewing. Made completely of wood, metal and glass, it isn’t only a pleasing design we see here but a powerful mill that is going to require a hand from you to do the job. Take a look at this customer’s informative (and lengthy) video review of the Hario canister ceramic coffee mill to get a great idea for how this little grinder works. 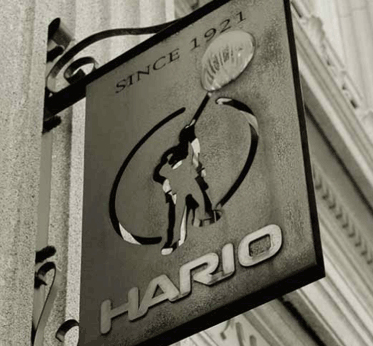 For those who are not fully aware, Hario is a hundred year old Japanese glass company that specializes in glassware and has made some of the most attractive coffee-making equipment you’ve ever seen. 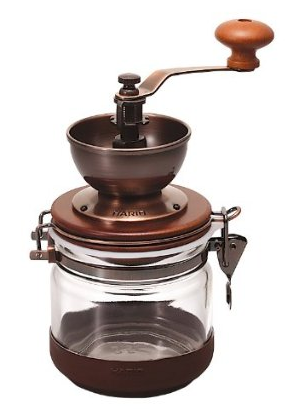 Hario’s ceramic coffee mill looks quite different from any regular coffee grinder of today, thanks to their innovative design that is part nostalgia, part Japanese innovation. 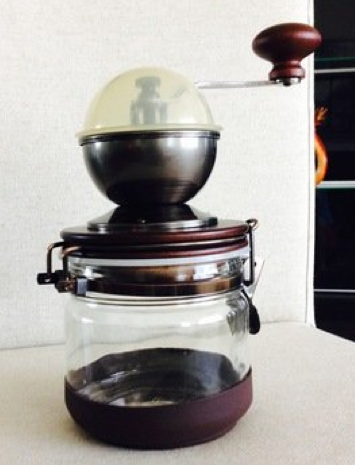 With several parts – the handle, the opening and the glass jar – it is a good vintage replica of the old coffee mills that were used in the past. The lid comes with a cork that keeps the opening of the mill completely closed. Hario Canister has a ceramic burr, hence its name. 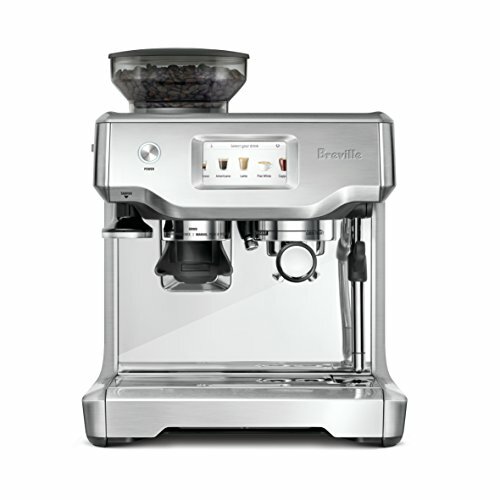 It can contain up to 120 grams of ground coffee in the grind receptacle. The jar is hermetically closed thanks to the old-fashioned and yet very strong latch-closing mechanism (the lid has a removable rubber seal) that will not let the contents slip out even accidentally. At the same time, this airtight canister will keep the coffee fresh. The lid is the base for the opening where the actual grinding mechanism is, and is where you can pour the coffee beans and then grind them manually. 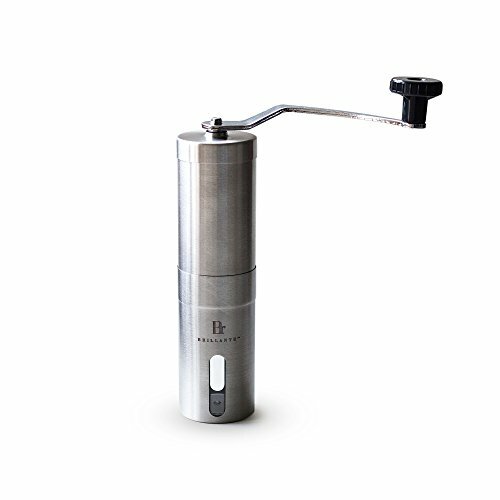 The metal handle has a wooden knob that makes the grinding much easier. It doesn’t hurt when you do the grinding manually because the knob sits well on the hand and is very comfortable. If you aren’t a person who has a patience doing this type of grinding work by yourself, or if you don’t have time to do it, we do not recommend this grinder. It certainly takes a bit of time to grind a handful of coffee beans, and even then it won’t be a lot (only 120 grams) which for some people may not be enough. The canister has a rubber bottom so you don’t have to worry about the coffee mill slipping and sliding when you manually grind the coffee. 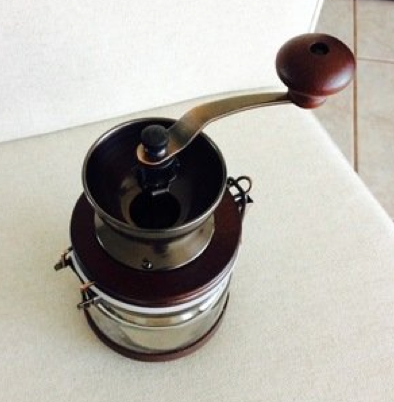 Still, at times it might be a bit easier if you actually hold the coffee mill while you spin the handle. The way you grind it is up to you, but you’re going to need to hold it. We do think that the effort will be worth it, since slow grinding actually does benefit your coffee’s flavor because faster speeds actually can heat the beans up too much. 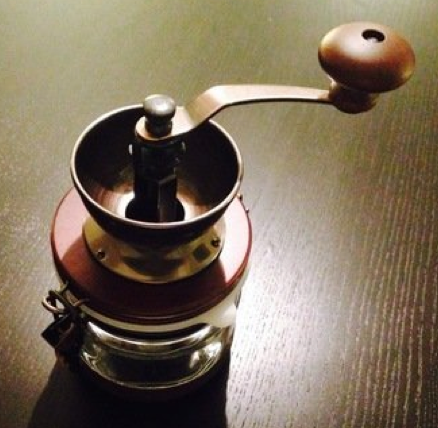 A slow, cool grind is actually optimal for all kinds of coffee, from espresso to French Press. 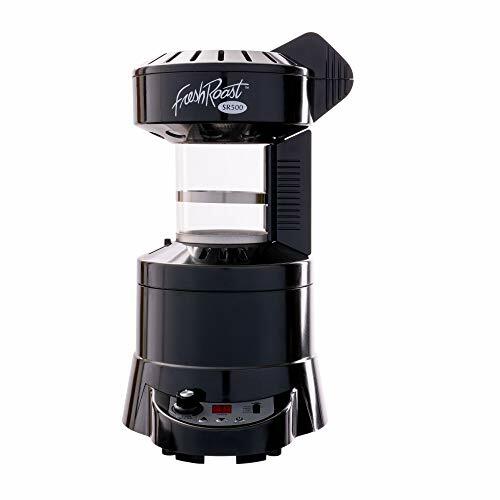 If there is one thing that many customers have complained about in their reviews, it’s that you may not get the expected coffee fineness you are used to get with an electric burr grinder. And, if you do get the consistency you want, it can take a while to figure out how to get it. Some customers have expressed frustration and this department and so we felt we needed to mention that here. Luckily, this is an issue that be easily fixed – the main screw that can be rotated lower or upper part of the grinding burrs to adjust the grind more to your liking. The more you screw it down into a lower position, the more powdery your ground coffee will be; the more you screw the upper burr, the larger the pieces of coffee will come out for a coarser grind. Simple as that! Make sure you take the time to get to know your grinder in this way, as the grind adjustments are what will make the most difference in your end result. Once you load the opening with coffee beans, place the plastic lid over it, so the coffee beans stay in place. You can grind them without this lid too; the chances of making a mess are very low. 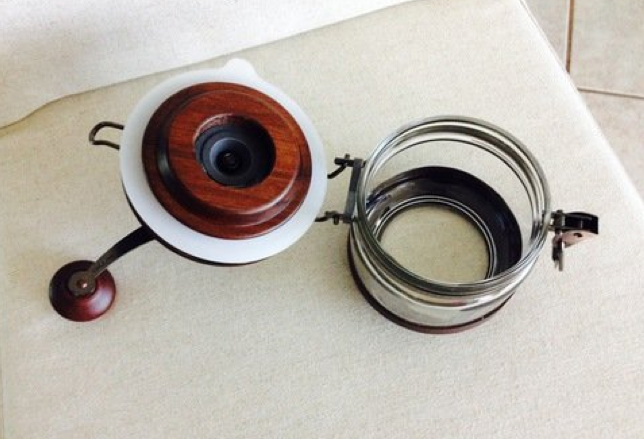 Once the coffee is ground, the handle can be easily removed from the grind and stored inside the jar. This way, the ceramic coffee mill does not take a lot of space and can be easily transported if you wish to carry it wherever you go. Obviously, you don’t have to keep it that way; the empty jar is very practical for keeping the freshly ground coffee inside, and, as mentioned above, it gets hermetically closed with the latch and will keep the freshness and the flavor and aroma of the coffee for a long time. 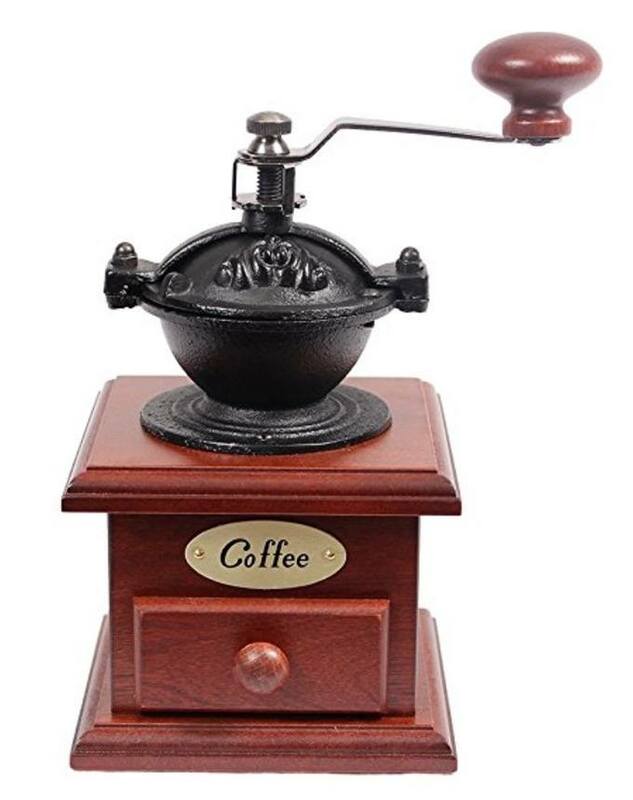 When it comes to cleaning this ceramic coffee mill, you can literally remove every piece of it to clean them each individually, starting with unscrewing the handle. Then, you can completely remove the lid and separately clean the jar and the lid, as well as its rubber seal and the bottom rubber cover. 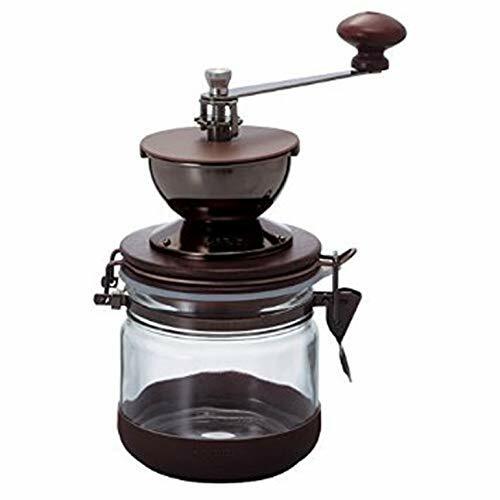 Even the metal part that holds the closing mechanism can be easily removed from the jar, if you have the patience for that, although this grinder can be kept very tidy with just a simple cleaning. 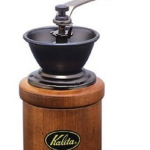 Despite not being the cheapest ceramic coffee mill out there today, we feel this is warranted due to the high overall quality of this grinding mill, and its old-style luxury look which is more than just appearance – the constituent parts of this mechanism are each very sturdy. 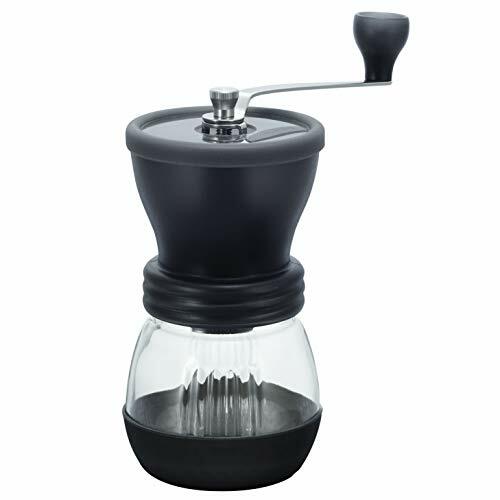 Although a few customers have complained of the (in)consistency of the grind, the vast majority of the reviews are positive and people seem to be loving the Hario Canister-style Coffee Mill.